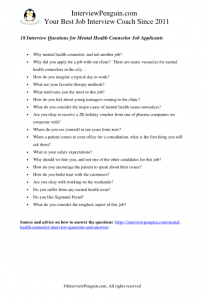 TOP 18 Mental Health Counselor Interview Questions - Ready to Answer? Mental health issues are so common nowadays. Or is it just the pharma business that makes it so easy, and even favorable, to diagnose one to everyone who undergoes the tests? The future will tell us the truth, but for now, one thing is certain: Career of a mental health counselor is on a rise, and you won’t struggle with customers in your new job. 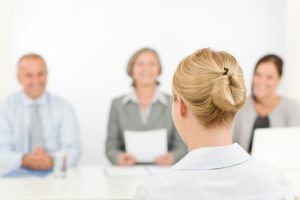 But how to get this position in an interview? We will have a look at some questions you will face, and also give you bit of advice on the impression you should make, depending on the place of your work. 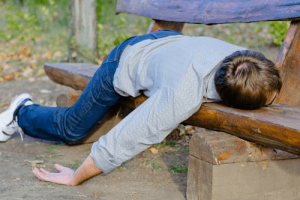 Why mental health counselor, and not another job? What are your favorite therapy methods? Most people who run mental health clinics and psychiatric hospitals have already sold their souls to the devil—the pharma business. They want to hire people who will prescribe pills to each client, including children (or in a case of a mental health counselor send them to the psychiatrist, who will prescribe the pills). People who do not think. Of course they know about the side affects of such a treatment. And of course they know that these pills are addictive–and they will have a patient for an entire life. That’s exactly where the rabbit hides. They do not care a bit. Money is the only thing they care about. If you apply for a job with one of these places, the more stupid you are, the better your chances will be. Just show them that you like to go with the crowd of mental “doctors”, poisoning the population. They’ll be more than happy to get another sheep to their flock. Join, bend your head, and follow the masses of the blind. See also: Body language in an interview. If you happen to apply with one of the clinics where they actually still try to cure patients (and there aren’t many of those in the US), then you should come up with a different attitude. Talk about empathy, group therapy, addressing the underlying causes of most mental illnesses (such as dealing with social and family problems, complexes the patients suffer, the wrong self-image and image of the world, etc), and other forms of real mental therapy. Do not talk about medication. Let’s have a look at few questions you will get–regardless of the place of your application. You can say that you see the potential in this career, or that you are bothered by the growth of mental health issues in young population. You can also say that you feel the need to help people (or to slowly kill them alive with the psychiatric drugs if you prefer so), and basically you should show some good intentions (good from your view). A nice option is also referring to a mental health issue in your family, and saying that you always wanted to know more, to learn how to help the person you love, and therefor decided to pursue this career. More often than not you won’t care. You just applied because the place of work is convenient, located near your house, or you have a good traffic connection with the place. But try to come up with something better in your interview–perhaps they have a good reputation, or you know some people who managed to solve their mental issues on the clinic, or you believe that the environment is ideal for curing patients, etc. Basically you can praise them, say good things, strike their ego…. A typical day of a mental health counselor in one clinic can look totally different than a day of another guy, working at another place. Two things can help you to find the right answer to this questions: The job description, and the understanding of the therapy methods they use. If possible, go and visit the place before your interview. Perhaps all they do there is prescribing drugs, and administering electroshock therapy. You’d better avoid such a place, but if you are tempted with the salary offer, or have been fooled by the pharma industry, you can go and apply. Anyway, once you know what they do, how they treat patients, you will know how to answer their question. Based on all I wrote up to this point, you should know how to answer this one. And if you do not, than you are an ideal candidate to become another cogwheel in the chain of this sad machinery. How do you feel about young teenagers coming to the clinic? What do you consider the major cause of mental health issues nowadays? Are you okay to receive a 2K holiday voucher from one of pharma companies we cooperate with? When a patient comes to your office for a consultation, what is the first thing you will ask them? Why should we hire you, and not one of the other candidates for this job? How do you encourage the patient to speak about their issues? How do you build trust with the customers? Are you okay with working on the weekends? Do yous suffer from any mental health issue? Do you like Sigmund Freud? Interview for a job of a mental health counselor belongs to easier interviews. Most of the time you won’t compete with many other people for the job (sometimes you will be the only candidate), which makes it even easier. The only pitfall lies in the wrong understanding of the philosophy of the particular mental health clinic, their attitude to the patients. Ready to ace your interview? Or ready to change your career? We hope that one of the two is correct after you’ve read this article :). How to answer interview questions – It is not only about what you say, but also how you say it in an interview…. Nonverbal communication matters, and unless you understand the rules, you won’t succeed in the interview.